Not everyone can afford the stay at the villa, and many going on vacation are looking to save as much as they can while getting the best out of the experience. You may even be driving to your destination, opting to pay for gas instead of an expensive airfare. 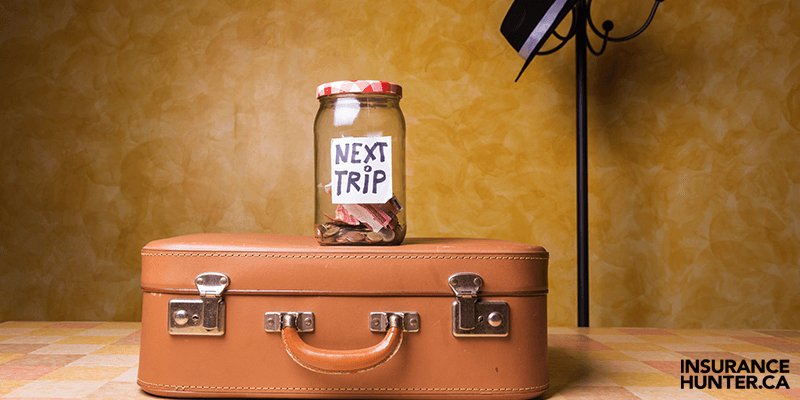 So, after the cost of airfare or gas, we’re going to look at a few tips that will help you keep more of your hard-earned money while you’re on your budget travel adventure! The exchange rates are usually never worth the convenience of exchanging at the airport. The airport exchange kiosks could be taking as much as 10% per exchanged dollar out of your converted monies, and that percentage may be the low-end of the comission. It’s best to go to your home bank in advance, and get as much money as you think is appropriate for your budget before you depart. Try to get this out of the way as early as possible, some foreign currencies may have to be ordered. Think of travelling to the places that have the best exchange rates for the Canadian dollar, too. After you book your flight, if it is not part of a vacation package, you’re going to have to decide on your accommodations. Don’t just book a hotel without looking at your other options. Compare between traditional hotels and non-traditional home shares like Airbnb. The cheapest option will likely be a hostel, but you will be sharing a room with strangers. Based on your personal preferences, compare between these options to find the best price for your comfort. Buy the travel sized versions at home! Dollar stores are your friend, and you should really buy everything you need for your hygiene routine at home. This means sun screen, lotion, toothpaste, facewash, shampoo and conditioner. Trade and customs may be different in your destination country and these simple items can shoot to double the price abroad, at least! Save money on the taxi or Uber by giving yourself enough time to get to the airport via local transit. When you arrive at your vacation destination, opt for buses and subways if they’re available to you. Taxi drivers may have prices especially for foreigners, so doing some research beforehand as to taxi bylaws and alternative travel options from the airport. While you’re exploring the city, try to walk places in the daytime, and learn as much as you can about their transit routes. Do not book your stay in the tourist zone of your vacation spot. It’s a trap to stay in the tourist zone because prices are usually in USD, there will be constant attempts at an upsell, plus, the restaurants closest to you will be some of the most expensive in the city. If you’re able to book your stay in a local community, this is the best way to avoid spending too much on your meals and actually soak up some local culture. Prices in these areas will be less than those in the tourist trap, but retailers may speak less English as a result. Plan ahead and learn key words. Comparing travel insurance rates across providers is the best way to find the cheapest price. If it’s worth it to you, purchasing an annual travel insurance plan will be cheaper than taking out a single plan each time you take a trip. Talk to a broker so they can find the most affordable plan for your travelling style.